Real Sociedad has over 2.5 goals in their last 3 games in La Liga. Real Sociedad has over 2.5 goals in their last 3 away games in La Liga. Eibar scored in last 5 home games in La Liga. Real Sociedad scored in last 5 games in La Liga. Real Sociedad scored in last 5 away games in La Liga. Hannover 96 won their last 3 home games in Bundesliga. Borussia Dortmund won their last 3 games in Bundesliga. Borussia Dortmund won their last 4 away games in Bundesliga. Hannover 96 scored in last 7 games in Bundesliga. Hannover 96 scored in last 3 home games in Bundesliga. Milan has under 2.5 goals in their last 3 home games in Serie A.
Milan scored in last 6 games in Serie A.
Milan scored in last 4 home games in Serie A.
Roma scored in last 8 games in Serie A.
Roma scored in last 5 away games in Serie A.
Middlesbrough won their last 3 games in Championship. Middlesbrough scored in last 5 away games in Championship. Middlesbrough scored in last 8 games in Championship. Middlesbrough scored over 1.5 goals in last 4 away games in Championship. Middlesbrough allowed opponents to score over 1.5 goals in last 3 games in Championship. VPS scored in last 4 away games in Veikkausliiga. TPS Turku won their last 3 home games in Veikkausliiga. TPS Turku scored in last 7 home games in Veikkausliiga. TPS Turku scored over 1.5 goals in last 3 home games in Veikkausliiga. Rovaniemi Palloseura has under 2.5 goals in their last 6 home games in Veikkausliiga. Rovaniemi Palloseura allowed opponents to score over 1.5 goals in last 6 home games in Veikkausliiga. Rovaniemi Palloseura allowed opponents to score over 1.5 goals in last 5 games in Veikkausliiga. Honka allowed opponents to score over 1.5 goals in last 3 away games in Veikkausliiga. Honka allowed opponents to score over 0.5 goals in last 3 games in Veikkausliiga. Paris FC has under 2.5 goals in their last 7 home games in Ligue 2. Paris FC allowed opponents to score over 1.5 goals in last 9 home games in Ligue 2. Orleans scored in last 3 away games in Ligue 2. Orleans scored in last 4 games in Ligue 2. Orleans allowed opponents to score over 1.5 goals in last 3 games in Ligue 2. Sochaux has under 2.5 goals in their last 6 home games in Ligue 2. Sochaux has under 2.5 goals in their last 3 games in Ligue 2. Sochaux allowed opponents to score over 1.5 goals in last 6 home games in Ligue 2. Sochaux allowed opponents to score over 1.5 goals in last 3 games in Ligue 2. Valenciennes has under 2.5 goals in their last 3 home games in Ligue 2. Valenciennes allowed opponents to score over 1.5 goals in last 4 home games in Ligue 2. VfL Bochum has under 2.5 goals in their last 3 games in II Bundesliga. Paderborn 07 won their last 3 home games in II Bundesliga. Paderborn 07 scored in last 8 games in II Bundesliga. Paderborn 07 scored in last 6 home games in II Bundesliga. Paderborn 07 scored over 1.5 goals in last 5 home games in II Bundesliga. Erzgebirge scored in last 4 away games in II Bundesliga. Ingolstadt 04 scored in last 5 home games in II Bundesliga. Ingolstadt 04 scored in last 6 games in II Bundesliga. Ingolstadt 04 allowed opponents to score over 1.5 goals in last 4 home games in II Bundesliga. Emmen has over 2.5 goals in their last 4 home games in Eredivisie. Emmen has over 2.5 goals in their last 5 games in Eredivisie. 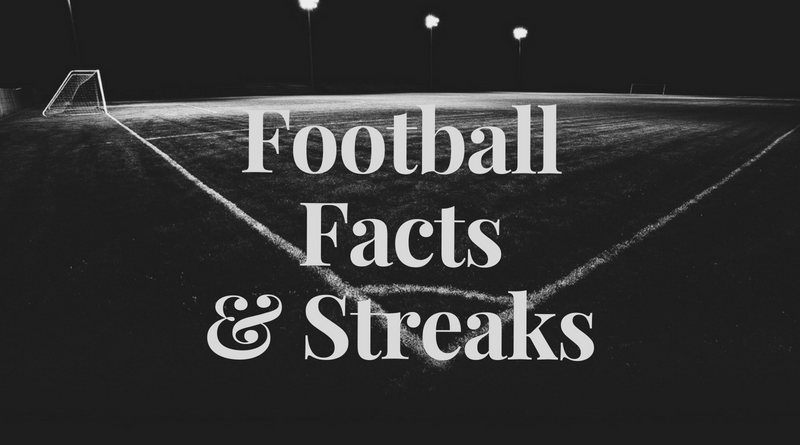 De Graafschap has over 2.5 goals in their last 5 away games in Eredivisie. Emmen scored in last 4 home games in Eredivisie. Norrkoping won their last 3 games in Allsvenskan. Trelleborgs lost their last 5 games in Allsvenskan. Trelleborgs scored in last 17 home games in Allsvenskan. Norrkoping scored in last 3 games in Allsvenskan. Norrkoping scored in last 20 away games in Allsvenskan. Cork City has under 2.5 goals in their last 3 home games in Premier Division (Ireland). Limerick has over 2.5 goals in their last 4 home games in Premier Division (Ireland). Dundalk won their last 3 games in Premier Division (Ireland). Limerick scored in last 4 home games in Premier Division (Ireland). Cork City scored in last 3 home games in Premier Division (Ireland). Cork City scored in last 3 games in Premier Division (Ireland). Dundalk scored in last 5 games in Premier Division (Ireland). Cork City allowed opponents to score over 1.5 goals in last 3 home games in Premier Division (Ireland). Limerick scored in last 3 games in Premier Division (Ireland). Cork City allowed opponents to score over 1.5 goals in last 3 games in Premier Division (Ireland).